Solar Power World, the leading solar publication covering technology, development and installation, published the Top Solar Contractors list. The list includes hundreds of solar contractors and developers in the United States, listed and categorized by state/territory, service and market, including some TAEBC members. The list ranks applicants according to their influence in the U.S. solar industry in 2017. Signal Energy Constructors, based in Chattanooga, Tennessee, ranked at #8 on the list. Signal Energy Constructors is a global general contractor providing engineering, procurement, and construction services for utility-scale renewable energy projects. Signal Energy is the renewable energy arm of the EMJ Corporation, possessing more than 8,000 megawatts of utility-scale project experience in the design and construction of wind, solar, storage, infrastructure, and other power projects. The company has been ranked in the top ten solar EPC contractors in the country for the last seven years. In December 2017, Signal Energy opened an international office in Sydney, Australia, expanding its reach into the Asian-Pacific market. Tennessee Solar Solutions, also based in Chattanooga, Tennessee, ranked at #198 on the list. Since the Top Solar Contractors List was started in 2012, Tennessee Solar Solutions has placed four consecutive years from 2015 to the present. “We are so proud of the work our team has done for the last 12 years. Solar energy is not only the most abundant resource for energy usage, but everyone should have access to harness this FREE energy,” said Anthony Roden, Founder and President of Tennessee Solar Solutions. It’s important to note the list includes solar PV companies that provide the following services: EPC contracting, development, construction/installation, electrical work and/or rooftop-specific installations. Companies can do work in any market segment, including utility, commercial, residential and off-grid, and companies must be headquartered in the United States. The Tennessee Advanced Energy Business Council is continuing its series of feature stories highlighting the mentors behind the Energy Mentor Network program offering industry specific expertise. The Energy Mentor Network‘s goal is to foster the growth of Tennessee advanced energy technologies and startups by connecting entrepreneurs with mentors. This gives Tennessee yet another advantage in grabbing its more than fair share of the $1.4 trillion global advanced energy market. The Energy Mentor Network is run by the Tennessee Advanced Energy Business Council in partnership with Launch Tennessee. In broad strokes, the Energy Mentor Network pairs mentors with promising new companies and entrepreneurs through a structured program involving panel presentations and mentoring sessions. The purpose of the program is to develop quality startups. After completing the program, startups will have an investable pitch deck, a rock solid business model and a plan to establish more traction. These tools will position Tennessee’s entrepreneurs to raise capital, request other funds like SBIR grants, and scale their company. TAEBC is highlighting Robbin Russell this week. Robbin began his career with Signal Energy, LLC in 2005 with the start up of the company which was then Signal Wind Energy, LLC; he is currently the Vice President of Construction. He is responsible for the construction of all projects from contract through final completion and the warranty period. 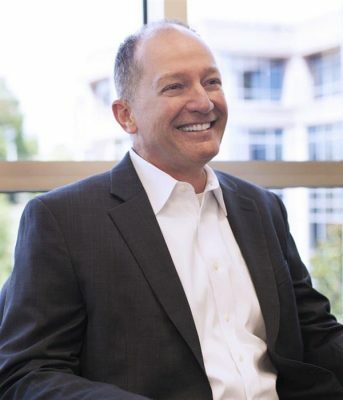 Prior to joining Signal Energy, Robbin was a project manager at several companies doing everything from apartment rehabs to installing diesel power plants in developing countries and radioactive waste cleanup at Oak Ridge. He has developed and/or built projects in Haiti, Honduras, the Democratic Republic of Congo, Malawi, Burundi and Nepal. Prior to his project management experience Robbin was a Senior Reactor Operator at TVA’s Sequoyah Nuclear Plant and proudly served nine years as a nuclear trained Surface Warfare Officer in the U.S. Navy. Robbin received his undergraduate degree in Naval Architecture from the U.S. Naval Academy in Annapolis, Maryland in 1984 and his Master of Science in Engineering Management from the University of Tennessee, Chattanooga in 1998. In addition, he also received his Professional Engineering license in 1996. Robbin has been happily married to his wife, Donna, for thirty-three years; they are both natives of West Tennessee and now reside in Chattanooga. Robbin and Donna actively serve in their church, community and around the world. When time permits, Robbin enjoys biking and swimming and pursues his passion of flying as an instrument rated private pilot. TAEBC is continuing to accept mentors for the Energy Mentor Program. If you are interested in this opportunity, please visit the “For Mentors” section of the Energy Mentor Network portion of TAEBC’s website. TAEBC members ARiES Energy and Signal Energy got recognized as some of North America’s best solar contractors by ranking in the top 500 solar companies in the country. Signal Energy was ranked in the top 10, while ARiES achieved a rank of 461 out of 500 solar companies. Solar Power World magazine created the Top 500 Solar Contractors List. The list is designed to observe solar contractors’ work across the U.S. and Canada. The companies who made the list make a lasting impact in the industry by providing jobs and offering electricity consumers more options. The list describes the company’s location, how many employees it has, its primary market, and details its primary service. Ranks are determined by the number of megawatts a company was involved with installing in 2015 in North America only. If two companies reported the same 2015 numbers, they were sorted by total megawatts installed. According to the list, Signal Energy installed 377 total megawatts for 2015 alone. By also employing 127 people, the company has managed to build more than 989 megawatts since it was founded in 2005 in Chattanooga. This comes as Signal Energy also achieved an overall ranking of 6 as one of 2015’s Top Solar EPCs. Solar engineering, procurement and construction (EPC) companies are the face of the industry. They design, build and maintain solar projects. They also work directly with solar consumers with their work involving installations ranging from single-kilowatt rooftop arrays to multi-megawatt utility projects. As for ARiES Energy, the company installed 0.21 total megawatts for 2015. With 14 employees, ARiES Energy overall has produced 2.24 megawatts of energy since it was founded in 2011 in Knoxville. For a look at Signal Energy’s website and how you can learn more about the company, click here. 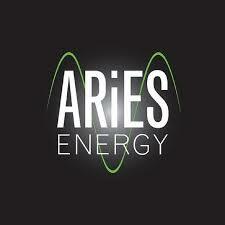 If you would like to learn more about ARiES Energy and the products and services it provides, click here. More than 20 business executives and government leaders attended the Tennessee Advanced Energy Business Council (TAEBC) roundtable in Chattanooga on Friday, July 10. The event featured Dr. David Danielson, U.S. Department of Energy Assistant Secretary, who discussed DOE’s new priorities and initiatives and how the private sector can take advantage of these resources. He engaged in a dialogue with attendees about what they are working on and how his office can engage with their businesses. City of Chattanooga Mayor Andy Berke also spoke at the event about the importance of advanced energy on the local economy and his administration. Assistant Secretary Dave Danielson stated that clean energy manufacturing has made tremendous progress over the past decade, and that it’s a revolution now, not in the distant future. The Southeast, especially Tennessee, is poised to capture a slice of the $1.3 trillion, global advanced energy market. Assistant Secretary Danielson urged TAEBC members to visit his department in Washington, D.C. (click here to apply for our TAEBC member September trip to D.C.) and to visit with the staff at Oak Ridge National Laboratory. He was complimentary of the Tennessee Advanced Energy Business Council’s approach to fostering the growth of advanced energy technologies, companies and jobs. He discussed the importance of the Institute for Advanced Composites Manufacturing Innovation (IACMI) in Knoxville and the new Small Business Vouchers Pilot program, a public-private partnership that will connect clean energy innovators across the country with the top-notch scientists, engineers and world-class facilities at our national laboratories (ORNL received the largest award at $5.6 million). The need to connect companies, America’s national labs and Tennessee’s research assets was once again a common theme expressed in the roundtable. Thank you to Signal Energy and its CEO, Ben Fischer for hosting the roundtable. Click here to visit TAEBC’s Flickr album to view photos from the event. Join the Tennessee Advanced Energy Business Council as we welcome Assistant Secretary Danielson back to Chattanooga for an intimate roundtable with advanced energy business executives to discuss DOE’s new priorities and initiatives, how the private sector can take advantage of these resources and most importantly, tell the Assistant Secretary what you are working on and how his office can engage with your business.